Should I move to London with children, or should I go for something in the countryside, that’s peaceful, quiet and romantic? Do you want your kid to grow and become a well-educated, balanced and socially skilled person with a myriad of opportunities? Then you should definitely go for the Big Smoke. It’s not that the countryside is a bad place to raise a kid but, take it from someone who grew up there, it is much worse. First and foremost, London has the best schools in England. This is because the teachers simply find the Capital to be an interesting city riddled with interesting projects. Thus, the best pool of talent is gathered in the Smoke. Needless to say, these teachers are some of the brightest minds in the country and it is they who will be schooling your kids. Secondly, there is the ‘adaptability’ factor. Yes, children adapt to a new environment much quicker than adults. 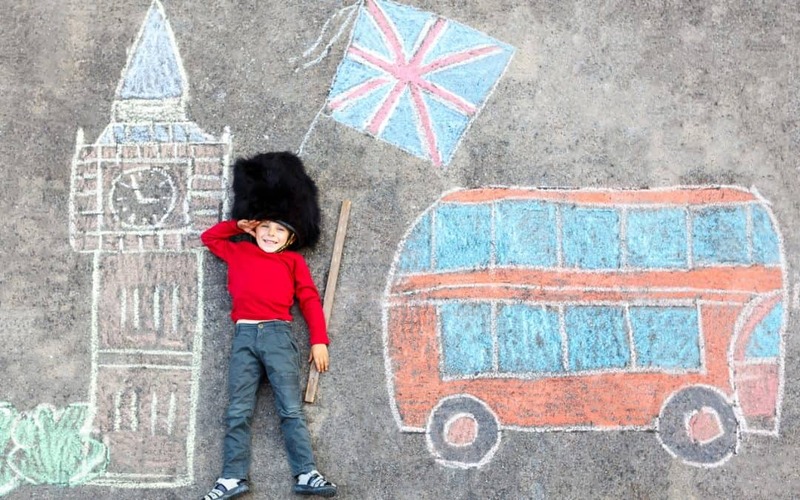 Your kids will pick up a gorgeous English accent within a month or so of them being in the UK. You, on the other hand, will never sound like them even if you tried. But it’s not the accent that matters when it comes to adaptability, but rather the environment itself. Your kids will be growing up in a living, breathing behemoth of a city that’s equal parts an economical and cultural marvel. Your kids will become a part of it, they will not be expats, tourists or travelers. They will be Londoners. This brings us to yet another benefit – opportunities. London has so many, all ripe for the picking. I am mentioning the opportunities last because they are not available to all. I found out about it the hard way when I moved here. Take it from someone who grew up in the countryside – it takes the education and the social skills of the ‘I’ve seen it all’ Londoner to really thrive here. My case also proves that hard work and no play can also lead to same results, but if you can make the future for your kids so much brighter and simpler today – wouldn’t you do it? I guess that the answer is obvious. You are, after all, reading an article about moving with your children to London. So what is it that you should be aware of when relocating here as a family? Yes, we can help you with finding the perfect home for you and your kids. We’ll even do it in a day, but this still doesn’t mean that you shouldn’t know what you are looking for. Yes, there are some major factors like the availability of great schools, close proximity to a park or any other place where the youngsters can play and explore, etc., but you can’t take yourself out of the picture as well. Consider an area that doesn’t just have great schools, but is also close to where you work at. Having a backyard is great but not every budget allows for it. Are you willing to make the sacrifice in favor of a small zone of green in a city as famous for its parks as London? Not everything goes well with London in terms of clothes because of the peculiar weather we have here. Its almost never too cold or too hot here, but the weather may be chilly and it is most definitely moist. In simpler words – it rains here in the winter and it also rains here in the summer. You won’t go far without a decent jacket, a pair of good shoes and a scarf to cover your face from the wind – or so we tell to newcomers. In reality, the scarf is here just to look cool. Another notable element of a young Londoner’s wardrobe is his or her school uniform. Yes, just like in Harry Potter, the kids have to wear these to schools. Alas, the magic wands are sold separately. More often than not, you won’t have too much of a choice for where to shop for a school uniform if you go to a public school. In a state one, you’ll have more flexibility. Check out Asda, Tesco or Morrisons, for they have amazing choices and modest price tags. Just in case, we call what you call ‘private’ schools ‘public’. The ones that you call ‘public’ are called ‘state’ schools in London. Don’t forget about the allowance! No, not for the kids. Those little rascals won’t skip a chance to remind you that they need pocket money. You get the UK Child Benefit Allowance as a parent here, in the United Kingdom. If you have the right to reside in the UK you will be offered this allowance. Sure, there are some details that may vary from case to case based on your employment or the country you are from, so please make sure to check everything out on the official website. I’ll drop a bomb here and now: London is not as expensive as you might think. A lot of the stuff here is 100% free. Take the travel fee for example. Children under the age of 11 don’t have to pay it for as long as they are traveling with a fare-paying adult. The Tube, the buss, the light railway – it’s all free for the youngsters. Then there are the museums and the galleries, all of which are free. Not just to the kids, but to their parents as well. A trip to one museum per weekend should keep you entertainment calendar booked for months or even years. Then there are the parks with amazing wildlife – and I do mean actual animals – that deserve as much of your attention on those rare sunny days. Your turn now – what do you expect from moving with kids to London? Or, perhaps, you are already here? Then please, do share your stories on our Facebook page!